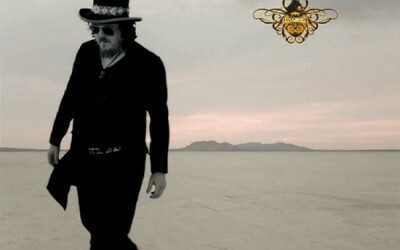 Zucchero, is an Italian rock singer. His music is largely inspired by gospel, soul and rock music, and alternates between ballads and more rhythmic boogie-like pieces. Zucchero is the Italian word for sugar, as his teacher used to call him. In his career, spanning four decades, Fornaciari has sold over 50 million records around the world and has achieved numerous awards, including two World Music Awards, six IFPI Europe Platinum Awards and a Grammy Award nomination. Fornaciari’s best known hit “Senza una donna” (“Without a Woman”), in a duet with Paul Young, is from this album. The first pressing of the album didn’t feature the duet: the song was performed by Fornaciari only. The duet was a great success worldwide, reaching the top 10 in European charts. Other European hit singles from this album include English versions of “Diamante” and “Wonderful World”. Diamante was later released as a duet with Randy Crawford, a variant not available on any album until the special edition of Zu & Co. 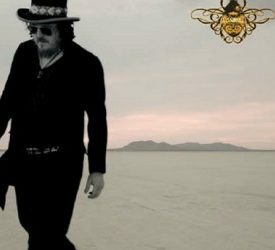 In November 2007, Fornaciari released a new compilation album with several new tracks, including a cover of Black’s “Wonderful Life” and the PhD track “I won’t let you down” (in the Italian adaption “Tutti i colori della mia vita”. In the spring of 2008 Fornaciari began his All the Best tour, which so far included stops in Germany, the Netherlands, France, Austria, Switzerland, and Ireland, as well as performances at the Royal Albert Hall in London, the Kremlin in Moscow, and San Siro stadium in Milan. A short American tour, including another stop at Carnegie Hall, followed, as well as Fornaciari’s first performances in Australia, where he was joined on stage by Tina Arena in Sydney, and concerts in the United Kingdom, and Italy. November 2008 also saw the release of Live in Italy, a 2 CD, 2 DVD boxset with recordings of performances in Verona in 2007 and Milan in 2008, as well as three new tracks, including the single “Una Carezza”. In November 2010, Fornaciari released a studio album entitled Chocabeck. The album was produced by Don Was and Brendan O’Brien and includes collaborations with Brian Wilson and U2’s Bono. The first single in Italy was the song È Un Peccato Morir, and in the rest of Europe Chocabeck and Alla Fine. Fornaciari toured to promote this album in 2011.